Hope you had a relaxing New Year's, we brought in the new year laughing, dancing to Just Dance 3, and chatting about old times. A wonderful time with precious friends...how about you? if I don't get rid of it soon then it might burn a hole in my pocket. 1. Please follow me on my blog (if you already do then Thanks!) and let me know in a comment. 3. You can mention this $25.00 Pottery Barn giveaway in a post and tell me about it. 4. Share this giveaway on your Facebook page and again let me know you did. 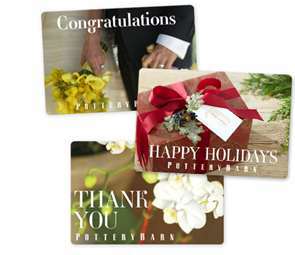 $25.00 Pottery Barn gift card. Following now :) I love your taste in decor Andrea! Congratulations on 100 followers! You know I'm one of them! Just posted about your giveaway on my Facebook page! Great giveaway Andrea! Thanks! Way to go! All that hard work has paid off! I am happy to be one of your 100! I liked you on Facebook as well! there's a gift-away going on!! Well, you know I'm already a gfc follower, so there's one entry. I just commented on the wrong post! Just ignore them...I'm a follower and really glad we met! I love the new design to the blog! Shared it with all my FB family! Congrats! I am a huge follower and love your ideas. Hoping to redo my pantry soon! I liked your facebook page (which I can't believe I hadn't done already) and I also mentioned your giveaway on facebook.